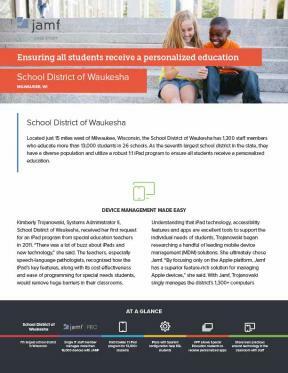 Working to ensure all students receive a personalized education, the School District of Waukesha implemented a 1:1 iPad program across 26 schools. Along with providing customized learning in special education, the district offers Spanish options for ESL students. And with a one-of-a-kind conference, educators easily share their best practices across the district.